SHARES in Centamin could remain under pressure for the foreseeable future unless the company was able to set out a short- to medium-term production plan, said RBC Capital Markets in a report published on March 8. The bank also suggested that Centamin should make better use of its cash by distributing more of it to shareholders. Shares in the UK-listed firm slid about a third on February 25 following the group’s year-end results presentation. On a 12-month basis, the share is about 18% weaker. 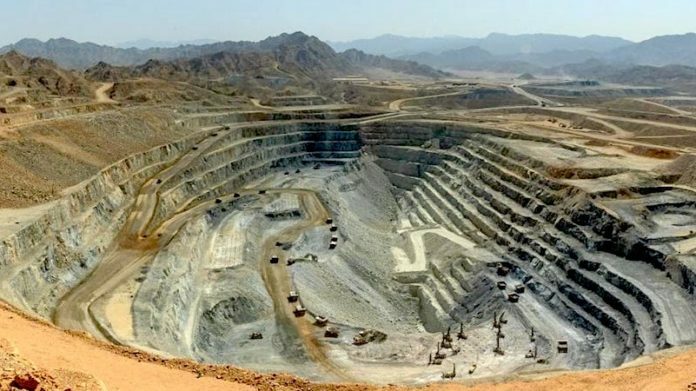 Centamin disappointed analysts with a gold forecast for 2019 of between 490,000 to 520,000 ounces from Sukari, a mine it operates in Egypt. It produced 472,418 oz in the previous financial year down from 544,658 oz previously. “The ‘new’ Sukari guidance of further stripping in the open pit and some ongoing ‘cascading’ stopes at the underground was worse than we expected,” said James Bell and Barbora Baluskava, analysts for RBC Capital Markets. They were concerned regarding a lack of clarity over the base case production number given the wide forecast provided over the last three years. “While we appreciate there are lots of moving parts (new team members, mine planning, ongoing exploration etc), the lack of even a snapshot may mean more volatility in our view,” they said. Reacting to Centamin’s numbers in February, Numis Securities said they were “disappointing”, having expected production to reach 536,000 oz in 2019. Analysts at Investec Securities forecast 531,000 oz of gold. “Centamin’s value proposition remains appealing but it needs to be underpinned by a demonstration of consistency and this remains still some way off,” Investec said. RBC Capital Markets also asked if Centamin’s $250m cash balance was appropriate, suggesting that the possibility the company was “keeping its powder dry” for a West African acquisition target might eventually result in disappointment. “[W]e remain uncertain if something that stacks up to Sukari’s returns can be defined. We think near mine targets in Egypt look more prospective and deserve more of the chunky $40m exploration spent this year,” the analysts said. Bringing Sukari’s Cleopatra underground section into production might be a better catalyst for the company which they said was “… likely to be a high return, low capex ounce growth” prospect. “However, we expect caution will prevail in terms of commitments from management,” they said.